Apes are a branch of tailless anthropoid primates, they're native to Africa and Southeast Asia. They are distinguished from other primates by a wider degree of freedom of motion at the shoulder joint. 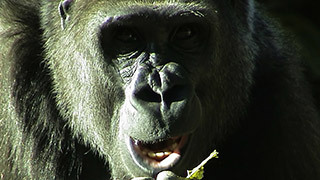 Apes include gibbons, orangutans, gorillas and chimpanzees.